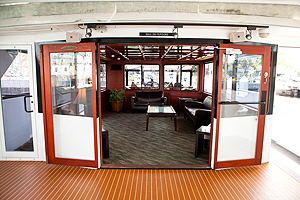 Boarding of the Emerald Hornblower can be at the Harbor Drive Hornblower terminal or at another location of your choice (additional docking fees may apply for remote locations). Typical San Diego Harbor cruises entail a relaxing bay tour featuring photographic points of interest such as the San Diego Skyline, Point Loma, Seaport Village, the USS Midway, Star of India, and the Coronado Bay Bridge. 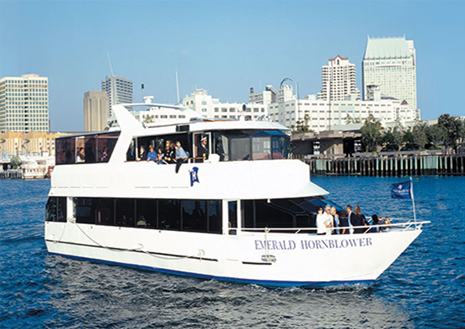 The Emerald Hornblower is the jewel of the Hornblower fleet. This streamlined yacht offers a contemporary interior design complemented with rich cedar appointments, unique bronze framed dining chairs and panoramic views from her two spacious decks. The Emerald boasts beautiful sage green and gold shaded dining salons, expansive emerald and black marble bar and a charming wood dance floor. 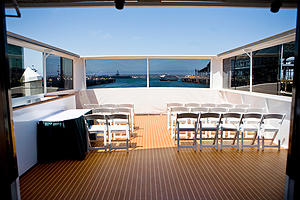 Outer deck space and intimate glass enclosed Admiral’s Cabin provide elegant spaces for guests to interact while enjoying the views of San Diego Harbor and the downtown skyline. 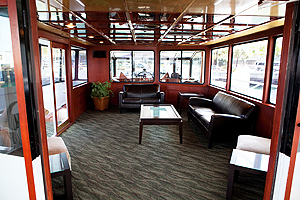 Emerald is a spacious 85′ modern motor yacht featuring climate controlled passenger salons, panoramic windows providing 360 degree views of San Diego Bay, retractable sunroof, dance floor, lounge area, full service galley (kitchen), and an ADA Compliant boarding ramp (at most boarding locations). 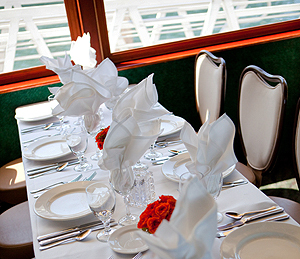 The Emerald is ideal for large parties, dining or cocktail cruises, weddings, and corporate events. 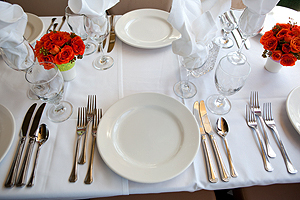 Although the rated guest capacity of this yacht is 80, she can comfortably seat 65 guests for dining. 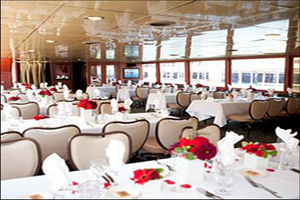 She has a fully stocked granite bar with glasses restroom facilities, and a spacious open-air deck on the bow for excellent harbor viewing. Emerald’s upper deck also has dining space as well as a comfortably appointed lounge area with settees and cocktail tables, a 460 square foot dance floor with a sunroof over the dance floor making for an unforgettable party atmosphere.